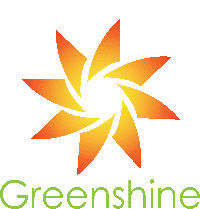 Greenshine New Energy introduces its new Classica Series, a perfect balance between a retro/classic appearance with a slick design and finish, fused with our latest solar energy technology to give you the best results possible. The timeless design, along with it’s LED fixture and with customizable pole heights, makes it a versatile product that can be utilized in various settings; from a simple park, to trails and sidewalks. The Classica outdoor solar lighting system features a round shape and a heavy spun aluminum hood with crown, cupola, and guard. It boasts high performance acrylic refractor lenses. The solar light comes in a wide variety of RAL colors, which are available in textured or smooth finishes. The working time is completely customizable, with dimming capabilities. The Classica can be installed to withstand harsh-weather environments. The solar powered Classica light comes with the most advanced LED available on the market (CREE XPG-2), with luminaire efficiency above 90 lumen/W. It’s working time is completely customizable, with dimming capabilities.